ASPB’s Master Educator Program offers financial support to successful applicants to participate in focused, substantive, and practical professional development with the aim of creating undergraduate plant biology instructional materials aligned with the recommendations of Vision and Change and ASPB’s core concepts in plant biology (http://www.aspb.org/education-outreach/higher-education/). 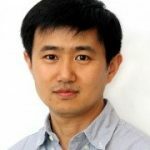 Congratulations to the 2018 winner, Dong Wang (Assistant Professor, Department of Biochemistry and Molecular Biology, University of Massachusetts). I will use the MEP funds to develop and showcase an undergraduate laboratory course that allows students to engage in authentic research experiences. These pedagogical approach, course-based undergraduate research experiences (CUREs), will teach students to apply their conceptual understanding of biology with newly acquired laboratory skills to conduct original research that leads to new scientific insights. I plan to direct student research on plant genes important for the symbiosis with nitrogen-fixing bacteria. The MEP will allow me to expand the scope of my research on the nitrogen-fixing symbiosis and efficiently integrate it with my undergraduate teaching.